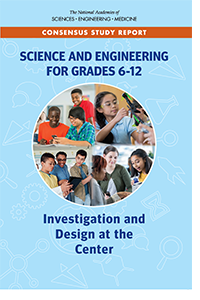 This third webinar provides additional information on the recently released consensus study report, Science and Engineering for Grades 6-12: Investigation and Design at the Center, from the National Academies of Sciences, Engineering, and Medicine. Two members of the study committee, Brett Moulding and Anne Egger, will discuss approaches to professional learning and pre-service teacher preparation that can help teachers to place investigation and design at the center of middle and high school science and engineering learning. They will describe how to help prepare teachers to run classes that focus on students asking questions, collecting and analyzing data, and using this evidence to better understand the natural and built world around them. Specific example will be provided that will help illustrate the changing roles of both teachers and students and the need for changes to pre-service teacher preparation and on-going professional learning throughout teachers' careers. This video, based on the report, introduces three competencies students should have that help reduce drop-out rates and support students' persistence and success at college. Released in November 2018, this report from the Board on Science Education and the National Academy of Engineering describes evidence-based ways that teaching and learning can shift toward science investigations and engineering design to help realize a new vision of teaching and learning in the classroom. 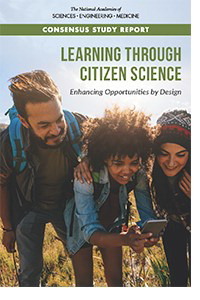 Released in November 2018, from the Board on Science Education, this report says that citizen science is uniquely positioned to support participants' learning about science. The report identifies ways that citizen science projects can be designed to effectively support learning. Citizen science has blossomed as a way to engage a broad range of individuals in doing science. Citizen science projects focus on "nonscientists" participating in the processes of scientific research, with the goal of advancing and using scientific knowledge. These projects enlist individuals and communities in a wide range of science-related endeavors, from counting particular species in the environment to monitoring for contaminants in streams to categorizing the structure of galaxies. The report recommends that projects be designed with the audience in mind and in ways that are inclusive and that support diversity. The report also recommends areas for research in order to advance understanding and practice. This consensus study report from the Board on Science Education and the Board on Children, Youth, and Families calls for a shift in how science, technology, engineering, and mathematics (STEM) subjects are taught to students in grades preK-12 who are learning English. 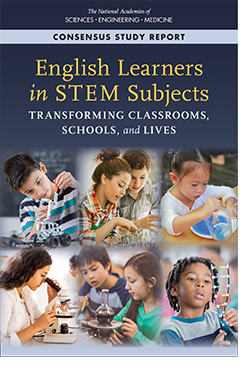 The report recommends strategies for instruction in the classroom, requisite tools educators need, and ways for building capacity in schools and districts so that English learners have opportunities to develop proficiency in both STEM subjects and language.